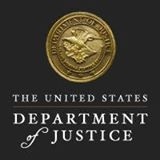 WASHINGTON, D.C. – December 2, 2016 – (RealEstateRama) — Preet Bharara, the United States Attorney for the Southern District of New York, William F. Sweeney Jr., the Assistant Director-in-Charge of the New York Field Division of the Federal Bureau of Investigation (“FBI”), and Christina Scaringi, the Special Agent-in-Charge of the Northeast Region of the U.S. Department of Housing and Urban Development (“HUD”), today announced the unsealing of an Indictment charging five defendants with conspiracy to commit bank fraud, wire fraud, and mail fraud in connection with a debt-elimination scheme to defraud homeowners and banks. In at least 2011 and 2012, BRUCE LEWIS, 65, JACQUELINE GRAHAM, 47, and an unindicted co-conspirator were partners in a business that they called the Pillow Foundation or the Terra Foundation (collectively, “Terra”). Terra held itself out as a business that would investigate and eliminate mortgage debt in exchange for a fee. Terra solicited clients who were having difficulties making their mortgage payments. ANTHONY VIGNA, 59, was a lawyer who worked in-house at Terra and provided legal services to it and its clients. ROCCO CERMELE, 54, was Terra’s director of operations who recruited clients, among other duties. PAULA GUADAGNO, 58, was a real estate title professional who performed real estate title work for Terra. LEWIS, GRAHAM, VIGNA, CERMELE, GUADAGNO, and others at Terra told potential clients that Terra could eliminate their mortgage debt in exchange for a fee. In reality, Terra filed fraudulent discharges of mortgages at local county clerk’s offices in Westchester and Putnam Counties and in Connecticut. These fraudulent documents made it appear as if Terra’s clients’ mortgages had been discharged, when in fact they had not. To profit from their scheme, Terra and the defendants charged monthly fees that they said covered, among other things, audits of the clients’ properties that they often failed to perform. Terra and the defendants also encouraged their clients to take out second or reverse mortgages on the properties for which Terra had claimed to have discharged the first mortgages. Once the clients had taken out these second or reverse mortgages, Terra and the defendants retained substantial portions of the proceeds. Some of these second or reverse mortgages were made under HUD’s Home Equity Conversion Mortgage Program. In total, Terra and the defendants filed nearly 60 fraudulent discharges in Westchester and Putnam Counties in New York and in Connecticut. The fraudulent discharges claimed to discharge mortgages with a total loan principal of over $33 million. In reality, the Terra clients for whom the fraudulent discharges were filed were often left with both a second or reverse mortgage and their original mortgage that had not actually been discharged. VIGNA, CERMELE, and GUADAGNO were taken into federal custody this morning and were presented in White Plains federal court this afternoon before U.S. Magistrate Judge Judith C. McCarthy. LEWIS and GRAHAM remain at large. Each defendant is charged with one count of conspiracy to commit wire fraud, bank fraud, and mail fraud, which carries a maximum penalty of 30 years in prison and a $1 million fine. The statutory maximum penalties are prescribed by Congress and are provided here for informational purposes only, as any sentencings of the defendants would be determined by the judge. Mr. Bharara praised the outstanding investigative work of the FBI and HUD-OIG. Mr. Bharara also thanked the Westchester and Putnam County District Attorney’s Offices and the Cheshire Police Department in Cheshire, Connecticut, for their ongoing assistance in the case. This case is being handled by the Office’s White Plains Division. Assistant United States Attorneys Jennifer Beidel, Michael Maimin, and James McMahon are in charge of the prosecutions. US v. Bruce Lewis et al. Indictment.pdfUS v. Bruce Lewis et al. Indictment.pdfThe charges contained in the Indictment are merely accusations, and the defendants are presumed innocent unless and until proven guilty. As the introductory phrase signifies, the entirety of the text of the Indictment and the descriptions of the Indictment set forth below constitute only allegations, and every fact described should be treated as an allegation.